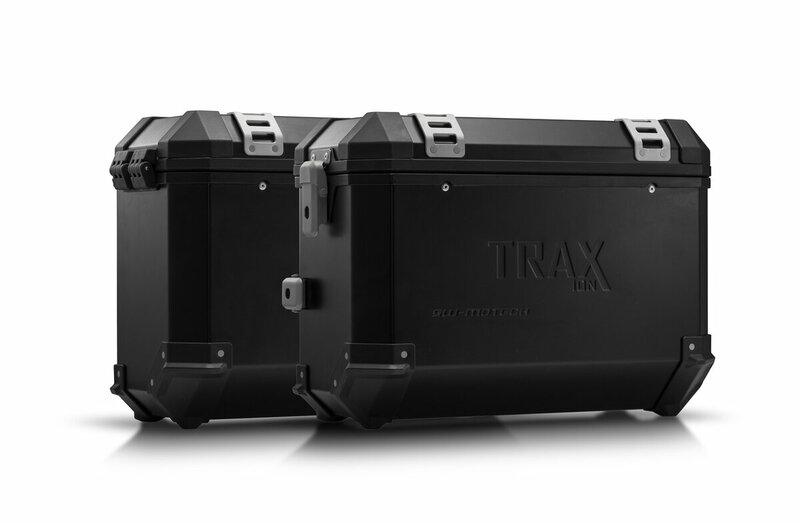 TRAX ION aluminium case system. Black. 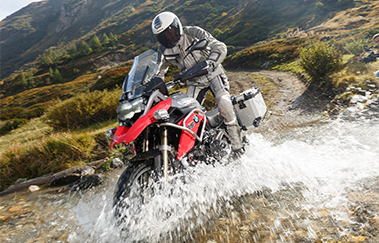 37 / 37 l. BMW F650GS (-07) / G650GS (11-). Black. 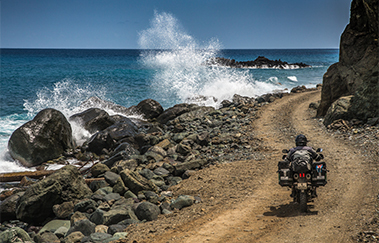 37 / 37 l. BMW F650GS (-07) / G650GS (11-). Order, unpack, mount and drive away. 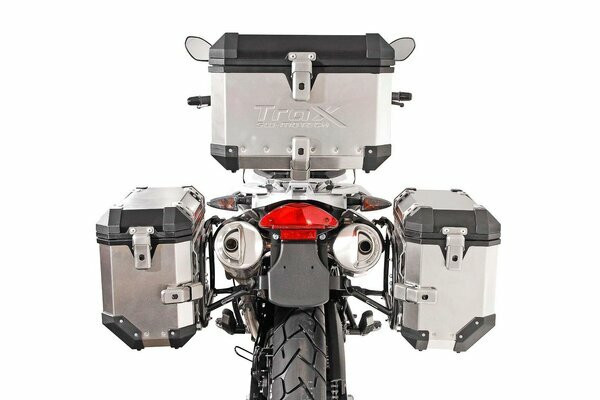 The TRAX ION aluminum case system contains everything needed to mount two side cases on your motorcycle: two TRAX ION side cases, two bike-specific EVO carriers, anti-theft protection, matching locks, adapter kit and accessories. The system is available with black or silver cases. 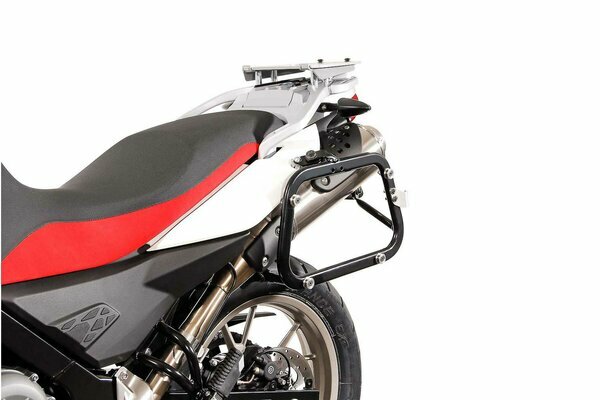 The bike-specific carrier and the size of the case are perfectly coordinated to the tail geometry and exhaust system of the motorcycle. 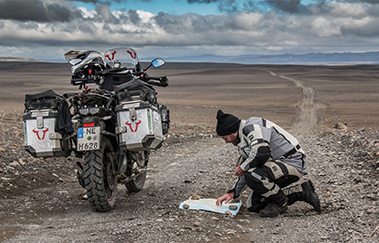 Robustly finished with a body made from 1.5 mm thick aluminum, strengthened with sturdy plastic elements and still a lightweight: the TRAX ION motorcycle cases are the new generation of the popular TRAX EVO series. The TRAX ION aluminum cases were completely overhauled - they are now welded in one piece and therefore waterproof. The companion for trips and adventures of all types wow with their large chamfer for best cornering clearance, their sleek look and a large offering of accessories - and all that at an attractive price. TRAX M inner bag For TRAX M side case. Waterproof. Black. TRAX M/L inner bag For TRAX side cases. With volume expansion. TRAX ION camping table plate For TRAX ION M/L. Aluminum. TRAX ION camping table legs For TRAX ION camping table plate. Aluminum. TRAX accessory mount For TRAX side cases. Silver. TRAX bottle set 2 For TRAX accessory mount. Inkl. 2x 0.6 l bottle. TRAX canister kit For TRAX accessory mount. Incl. 2 l canister. TRAX ION M/L carrying handle For TRAX ION side cases. Black. 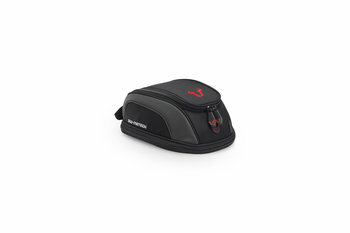 TRAX ION M/L expansion bag For TRAX ION side cases. 8-14 l. Water-resistant. TRAX ION lid limiter For 1 lid. Stainless steel. PVC coated. 150 mm. EVO tank ring Black. 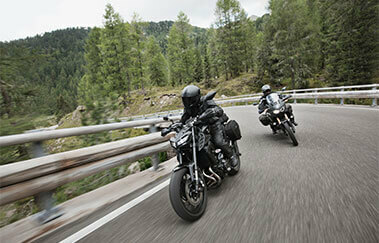 Yamaha MT-07 (14-17) / Moto Cage (15-). 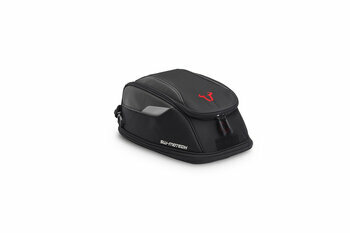 BLAZE saddlebag set Black/Grey. Yamaha MT-07 / Moto Cage / Tracer. Light mount Black. Honda XL700V Transalp (07-12). Bar riser H=20 mm. Black. Kawasaki ER-6n (08-11) /f (08-). Bar riser H=30 mm. Silver. XT1200Z Super Ténéré (10-13). Bar riser for Ø 28 mm handlebar H=20 mm. Silver.